We support our local charities, with your participation we can contribute more funds and you will help us make a difference. 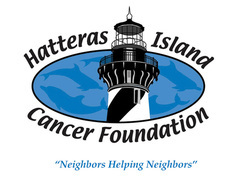 The Hatteras Island Cancer Foundation was founded in December, 2000, by Laney Howell. Laney, who was born and grew up in Scotland Neck, N.C., moved to Hatteras village in 1996. Shortly after she arrived here, she was diagnosed with breast cancer. After surgery in early 1997, she went through 4 1/2 years of chemotherapy, radiation, and stem cell replacement therapy. The Hatteras Grand Slam has implemented a tournament level in memory of Laney Howell. This will be a Women's Billfish Level, with proceeds to be awarded to the Level V Winner (1st Place Only) and the HICF. 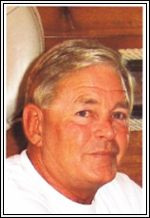 Bernice James Ballance, 65, of Buxton, NC left us suddenly on April 7th, 2012. In honor of Bernice we have initiated this fund and Level VI The Cap'n B Blue Marlin Category. A legend to all who had the great pleasure of meeting him. Bernice Ballance, born in Elizabeth City, NC, was a charter boat captain and a lifelong fisherman. He was a veteran having served in the U.S. Army, including two tours in Vietnam.